How do I get a Custom Show Board? Simply email me or call me at (763) 545-2232 so we can discuss your needs. I check my email regularly throughout the day so you can expect a response usually within 24 hours. How long does it take to get my Custom Show Board? Production time varies depending on season and current production load. Listed pricing is contingent on batch ordering so if you need your sign in a hurry, it may cost a bit more. Best to allow plenty of time if you want to save the most money. Please contact me for current lead times. Your Custom Show Board is carefully packaged to avoid injury and shipped directly from the production facility. Most single show board shipments cost around $20-25 depending on where you live. How do I get pictures of my car to my Custom Show Board? The best option is to have me photograph it for you for a flat $50/vehicle fee plus travel time (includes photo disc for you to keep). I will waive my travel fee if your car can be photographed at my chosen Plymouth location, but am also available to meet you at your destination of choice (Mpls Metro and surrounding area) for a fee. You may also provide your own digital photos for me to work with via CD/DVD, or by email or FTP. If you are sending your own photos, please realize I can only do as good as what I'm given. I will be happy to evaluate your submitted photos at no charge to determnine usability. I also cannot use photos in your Custom Show Board that are copyrighted by another artist or photographer without a copyright release. Can you use stock/corporate images and logos for my Custom Show Board? I must abide by all trademark and copyright laws, so the answer to this question is NO. I can use images that are taken with a camera (photographs) from your vehicle. All corporate logos/emblems featured on my designs MUST be photographed from the customer's vehicle or they CANNOT appear on a Custom Show Board. 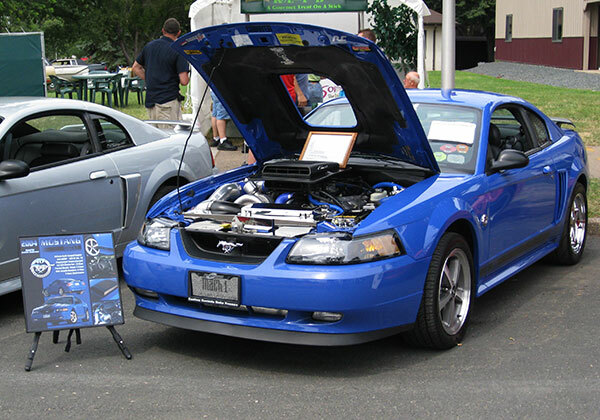 Custom Show Board designs can only be sold to the contracting customer who owns the vehicle featured in the designs and are NOT available for public sale due to manufacturer trademarks and copyrights. Can I approve my Custom Show Board's design before you complete it? Yes, with some discernment. Most people, when given an opportunity to change something, typically choose to do so - even at the cost of destroying an already good design. This may be your first Custom Show Board, but I've done hundreds, so there is often good reason not to change things once the proof is ready. Once a design is completed and prepared for proof, changes often require extensive time to finish. I will do my best to take all your input into the project prior to starting and ultimately completing the design, which typically takes 3-4 hours for each Custom Show Board. I will provide a digital proof to you via email. Any changes you want (beyond simple text description tweaks) may incur an additional $50/hour re-design fee. What if there are errors on my Custom Show Board? It is the customer's responsibility to carefully review any submissions with regards to printed material on your Custom Show Board. I often have no way of knowing if you misspell uncommon terms or part descriptions. It is also important to carefully review digital proofs for errors and typos as well. Once approved by the customer, your product will go to print and your Custom Show Boards or cards can no longer be edited. Custom Show Boards which were approved by customer via digital proofs may be reprinted at a reduced cost (customers expense) if errors are found after this process. How long will my Custom Show Board last? 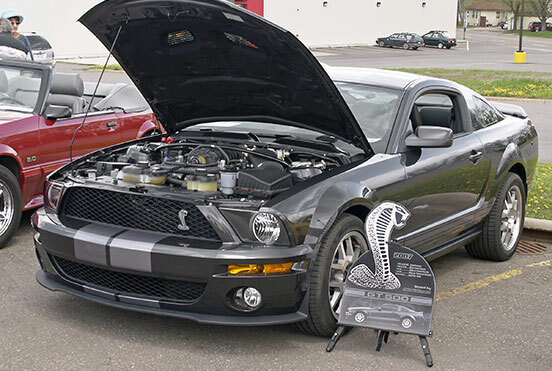 Your Custom Show Board is designed to last for many years - just take care of it like you take care of your car. My Custom Show Boards are printed with high quality UV solvent inks and mounted on solid wood substrate. The highest quality low glare UV gloss laminate coating adds further beauty and protection on the front. Use your duster to keep it clean. Be careful not to rub on it with abrasive cleaners as the laminate can scratch. How do I take care of my Custom Show Board? Try to keep it clean and dry. It works well to use your car duster to keep the dust off during shows. You can wipe it with a soft damp cloth using water or isopropyl/rubbing alcohol, but don't use abrasive chemicals or rags. Bring it inside the car if it is windy enough to knock it around. How do I display my Custom Show Board? For outdoor shows, use a GOOD quality easel that has a top clamp to keep it from blowing off the easel. Set your easel low to the ground and into the wind when possible. Cheap lightweight easels or stands that do not secure the top of your Custom Show Board will fail and you risk harming your car, your neighbors car and your show board investment. For your convenience, I offer a sturdy and attractive easel to compliment all my products. Framing is no longer needed with the plaque mounts for hanging easily on your wall.